Self Support Threshold Ramp 12"
The Self-Supporting Threshold Ramp 12" model is unique because it comes with adjustable bullet feet that can be customized to the exact height of your threshold. It can provide instant access for anyone in a wheelchair or other mobility device and can be placed directly against any step or threshold for a smooth and seamless transition. 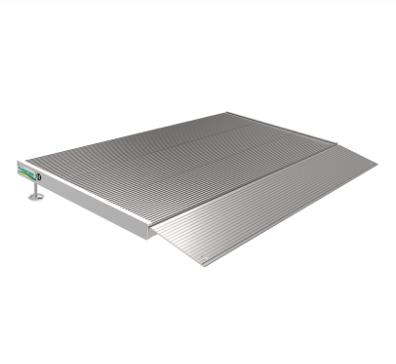 This lightweight ramp is built to be strong, strong, and provide a high traction surface. Get yours today!